What an incredible set this is! It features a whiskey jug with a pattern cut stopper in Hawkes (signed) Devonshire. 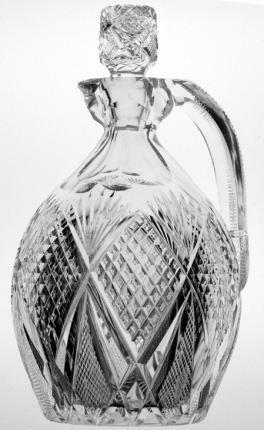 Accompanying the decanter are 4 cordial stems in the matching pattern which display and function perfectly with the set. 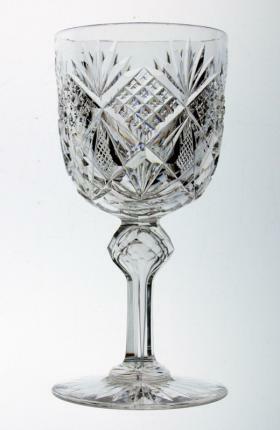 The Devonshire pattern is made up of beautiful diamond shaped portions of strawberry-diamond cutting. This cutting is divided by extended points of crosshatching and clear panels. 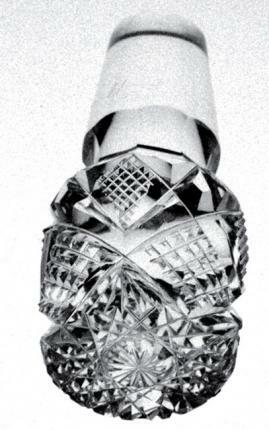 The stopper, which is cut-in-pattern is so detailed that the entire top of it is covered in a hobstar. The stems are also gorgeous in that they include a tear drop and lapidary-knobbed stem. 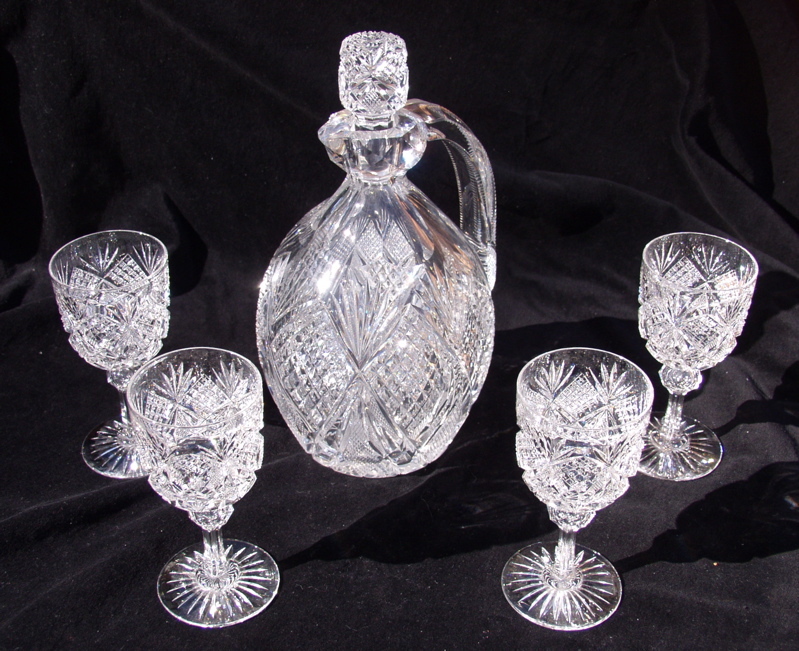 The decanter set is free of any flaws and the decanter measures 8 3/4″ tall and 5″ wide. The stems measure 4 1/2″ tall and 2″ wide. It is very difficult to find whisky jugs with matching, appropriately sized stemware. Don’t miss this rare opportunity.